The sound of emotion blasts through as rock n roll hits hard with guitars, rhythm, and lyrics. A powerhouse comes smoking hot from this female fronted Arizona band, known as Jane N The Jungle. In jogging outfits made from neon colored spandex, flashy tutu’s and lavender wigs Jane and her “Tribe” took on Sunset Blvd as they produced their exclusive video hit to premiere on AntiHero Magazine. The rawness of true alternative rock made its way as the band rocked out at the Whiskey a Go Go and delivered their cheekiness with their neon spandex jog down Sunset Blvd into a music video that states this is rock n roll life. The rock music passion Jane N The Jungle consistently presents is always spot on. Their flamboyant humor blends with the live rock footage and produces the rock on stamp for their new video “Wild Side.” Get ready to spin it and get your “Wild Side” on! 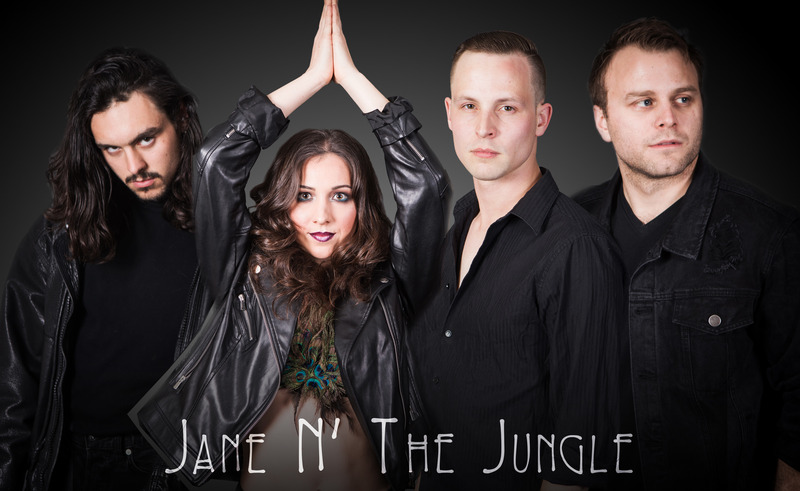 Alternative rock band Jane N The Jungle, from Phoenix, AZ, set fire to the indie alternative music scene with their electric performances and powerful female vocals. The band released their debut EP in October 2016 with influences such as Alanis Morissette,The Cranberries, and Florence and The Machine. Jane and her “Tribe” have received rave reviews on their unique sound, mixing between 90’s alternative and modern rock. Honda will be featuring 2 “JNTJ” songs in prime time ad commercials airing in 2017 in the U.S.; Hard rocker, ‘Smoke & Dust’, and an Americana single, ‘Open Road Blues’.